Eat Bulaga! is the longest running noon-time variety show in the Philippines produced by Television And Production Exponents Inc. (TAPE) and aired by GMA Network. The show broadcasts from The New TAPE Studios (Eastside Studio) at the GMA Broadway Centrum in New Manila, Quezon City. 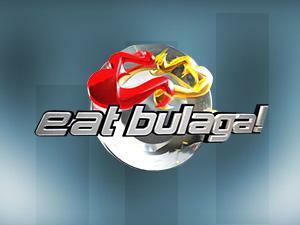 Eat Bulaga! is aired Weekdays at 12:00 NN to 2:35 PM and Saturdays at 11:30 AM to 2:30 PM (PHT). The show is also broadcast worldwide through GMA Pinoy TV. The name approximately translates to "Lunchtime Surprise!". The show celebrated its 36th year on Philippine television on July 30, 2015, holding the record of being the longest-running noontime variety program on air in the history of Philippine television. Lola's Playlist was formerly a subsegment of Kalyeserye. Child contestants sing hit songs from the 1950s, 1960s, and 1970s in this singing competition. Less than a month after the grand finals of the original edition, the contest was brought back with the new title Lola's Playlist: Beat the Champion to introduce a new batch of contestants who must beat the week's current champion. The new edition is no longer part of Kalyeserye, and is revived as a subsegment under Juan for All, All for Juan: Bayanihan of d' Pipol.